In springtime you want to be surrounded by flowers wherever you look. With this floral curtain you give spring flowers a prominent spot in your home in order to shine with their cheerful colours all day long. A collection of attractive plastic bottles or test tubes. For a playful effect use various shapes and sizes. Fill the vases with water and place flowers in the vases. You can vary the length of the stems to suit your personal taste. 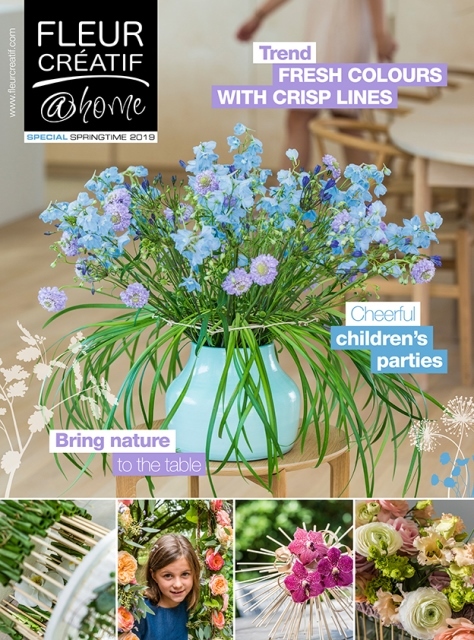 Finally, place an attractive flower in each vase. For an eclectic window opt for a palette of different flowers, and for a minimalist look stick to a single flower type. 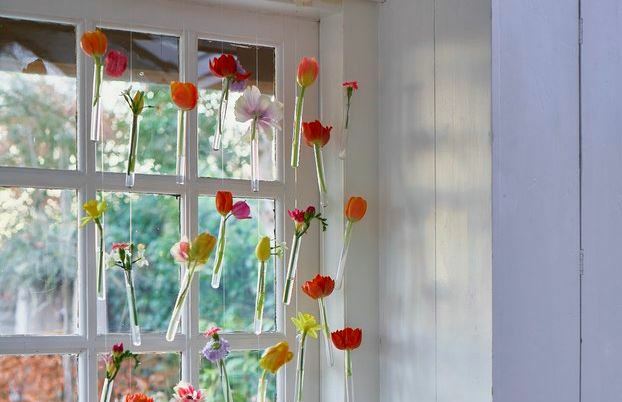 For a curtain with a real springtime feel use a mixture of tulips, mini carnations, anemones, daffodils, ranunculus, and gerberas.